Many times we come across situations where we need the help of others to manage our life. One of the common problems which working couple across the globe face is taking care of their children when they are away for their work. Free flyer designs are available for providing babysitting services to such couple. Babysitting flyer designs for download are available for users to customize to their requirement. Free Flyers ideas can be used for free by users. 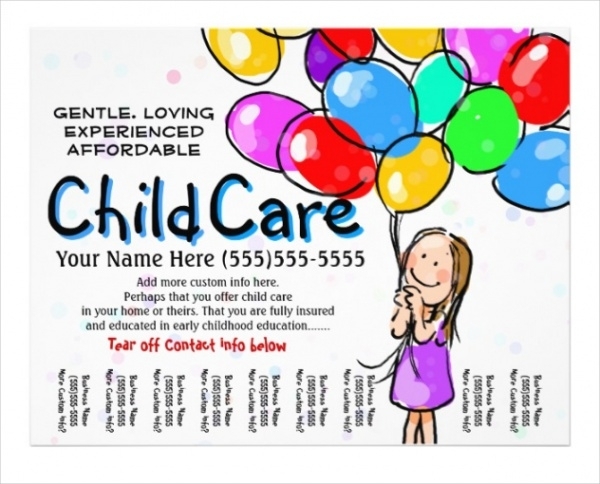 Printable Babysitting Flyer advertises about day care for children in custom text font colors. 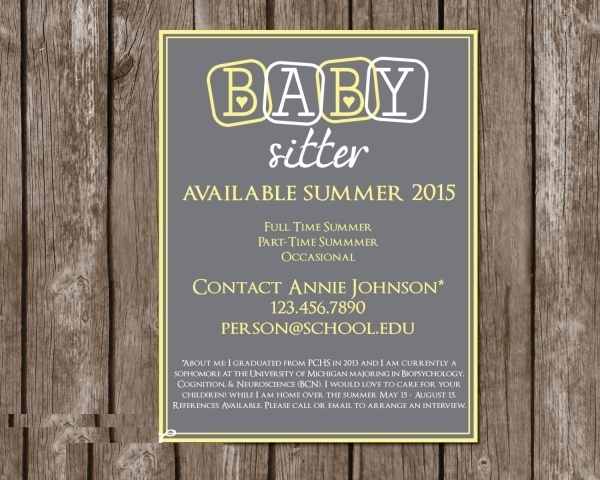 This template of babysitting flyer can be printed by users for the purposes they deem fit. You may also see Day Care Flyers. 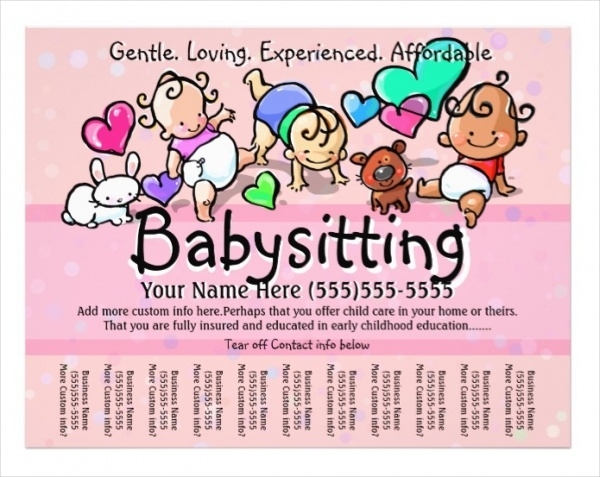 Cute Babysitting Flyer is designed in such a cute manner to display the babysitting services rendered by individuals or a group of users who may avail the services. 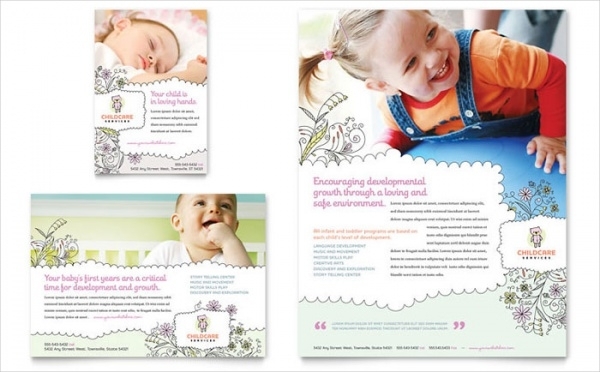 Babysitting and Daycare Flyer is a creative flyer that has been designed in a colorful manner. It displays details about daycare and babysitting services offered to the users. 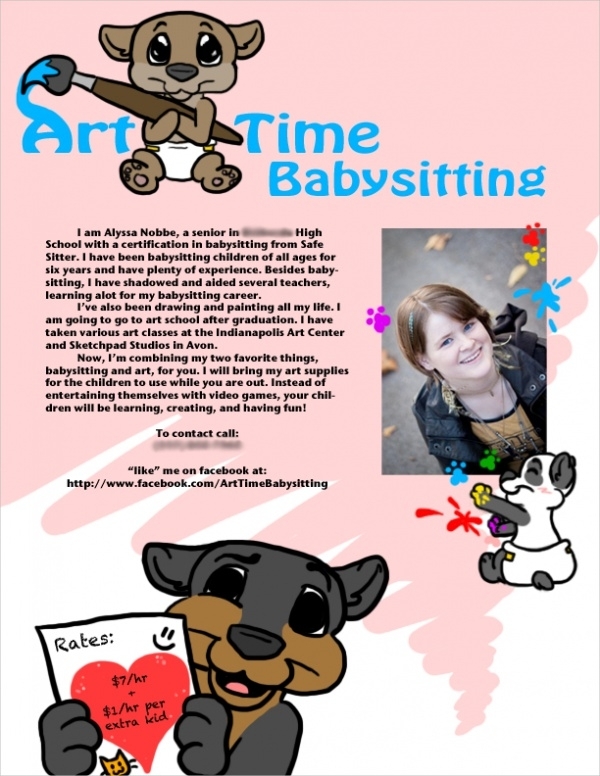 Personalized Babysitting Flyer Design is designed in an absolutely stunning manner. This babysitting flyer can be customized by the users to suit their preferences and requirements. 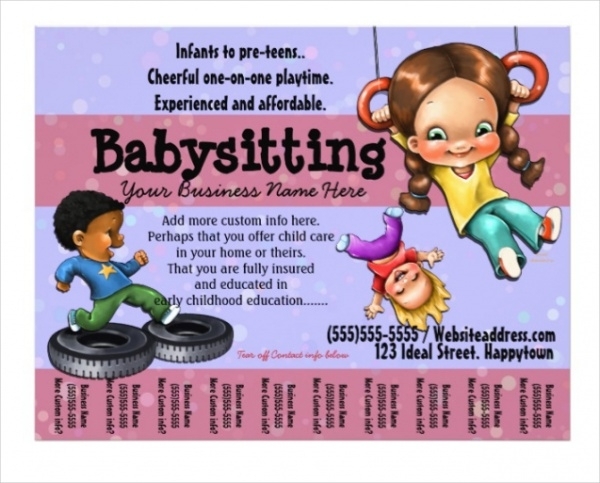 Free Babysitting Flyer is a handout format that displays details about the babysitting services offered by people. This flyer is available for users for free of cost to use for their purposes. Funny Babysitting Flyer displays funny images of babies and related things acting as an advertisement material for people who provide babysitting services to those who are in need of the same. 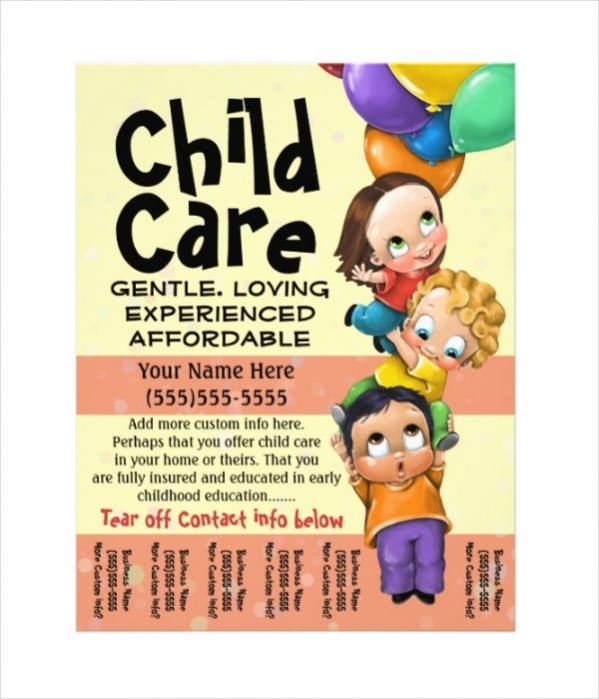 Babysitting Care Flyer is a simple but elegantly designed flyer type. 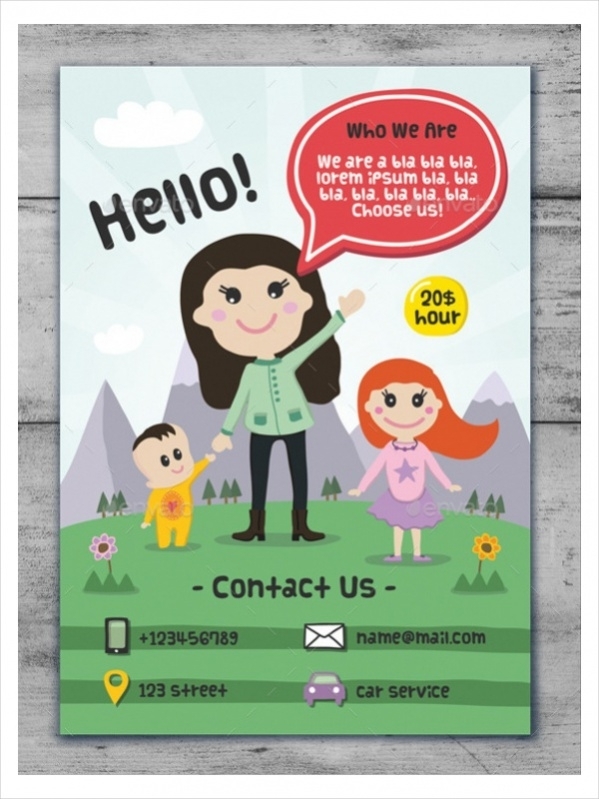 It can be used by people who want to advertise about their day care and babysitting services to the general public. 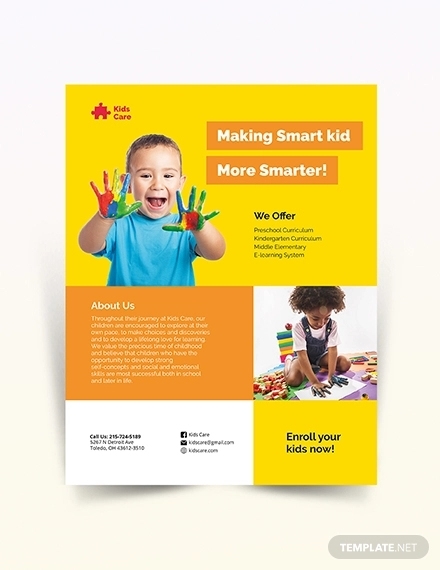 Babysitting Flyer Template is a flyer format which acts as an advertisement to the users who seek babysitting services from people. This flyer elegantly advertises infant babysitting. 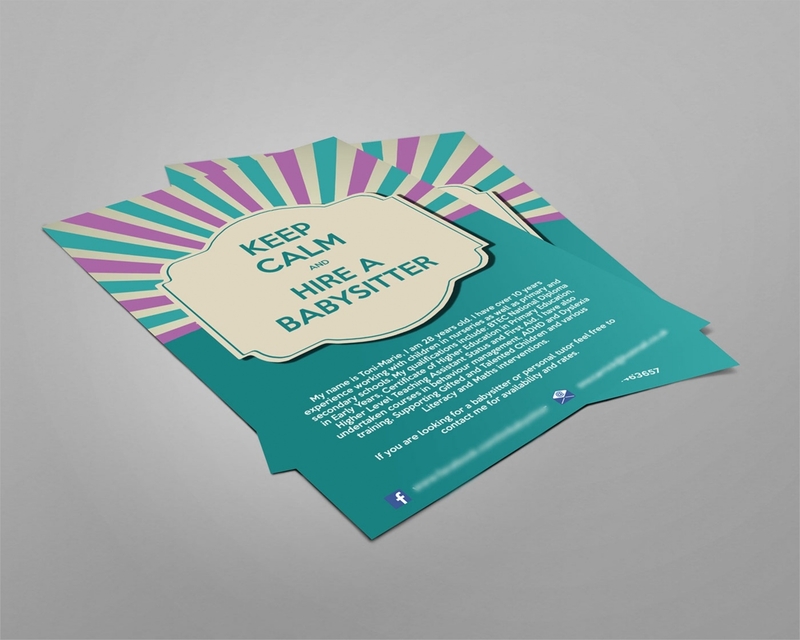 Simple Babysitting Flyer is basically a flyer template measuring 21.5 cmX28 cm in size. This template is customizable by the users with their content pertaining to services and timing. How to use these “Babysitting Flyers”? 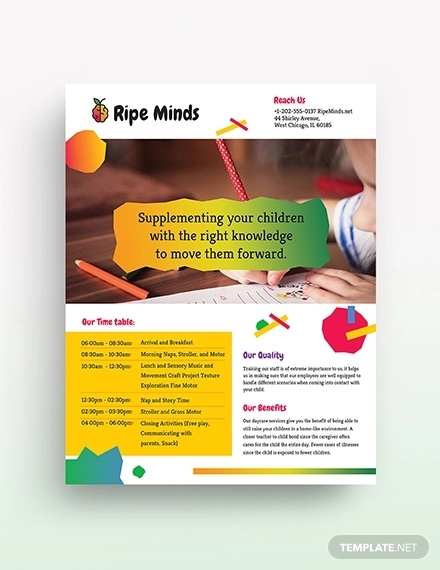 Babysitting flyer templates are beautifully designed promotional material which can be used by people who provide services pertaining to babysitting and day care for children. These flyers provide complete information pertaining to the timing, food provided, fee structure and other features to those who seek these services. Many working couple today expects assistance to take care of their children while they are off to work. Babysitting flyers provide information pertaining to the location from which they provide babysitting and day care services to infants and kids. This helps the working couple to understand the services available in their respective areas. You may also see Free Flyers. Babysitting and day care centers are a huge help to working parents and people who want their children to get trained to going to school in an informal manner. 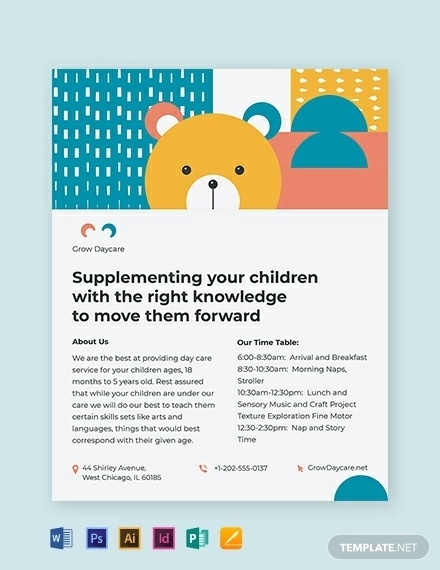 Babysitting flyer templates acts as promotional material to centers that take care of babies and kids when their parents are off to work.